Can you truly discover the culture of a place and its people, without a deep understanding of its local cuisines? Cuisine and culture – these two go hand in hand, so what better way to undergo a cultural immersion, than to join in an intriguing culinary class or dining experience? Throw away any pre-conceived notions or expectations before you join in a meal with The Thai Experience; this is a dining experience like no other. Be prepared to be blown away, for an experience like this wins on many counts – whether you seek tasty food, want to learn about the local culture, or are keen on socialising with a fun-filled party. 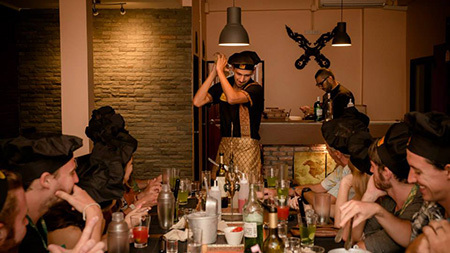 Amazing beverage choices, generous portions of delectable fare, a charming host, attention to detail and a deep insight into Thai culture and history makes this an experience not to be missed. 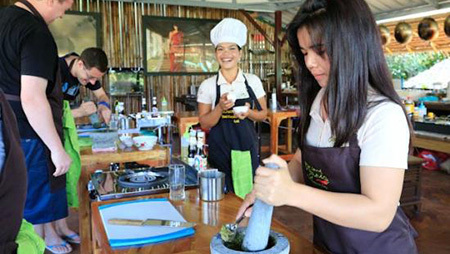 Rather than a social dining experience, perhaps what you prefer is a culinary class – one which provides hands-on experience in visiting shops where the locals frequent, discover more about various kinds of local dishes and lets you try your hand at whipping up a storm of Thai culinary delights. At Ying’s, classes are conducted in small groups (a maximum of four participants in each session) to ensure an intimate cooking atmosphere. Held in a charming home belonging to Ying’s parents, the alluring setting provides an insight into the culinary and lifestyle habits of the locals. A picturesque garden in the backyard, filled with lush tropical foliage, serves as the perfect spot to tuck into the Thai dishes that you have painstakingly prepared during the lesson. Even if you are not an avid cook, do not hesitate to join in a cooking class with Um at Lamai Thai Cooking School. Patient and pleasant, Um offers detailed instructions and explanations about the preparation of local dishes. Two menus are offered to participants, and a total of five dishes are taught in each class. Opt to learn how to prepare the spring rolls – it is a fun starter dish to make. Participants with a carnivorous palate will be delighted in learning to cook the well-loved local dish of chicken with cashew nuts, while those who like heat in their palate will enjoy preparing a mean massaman curry. You may be a dedicated foodie who’s serious about food, but that does not mean that cooking has to be a serious affair. This is true when you join in an informal culinary class with Pai at her homely and welcoming kitchen. 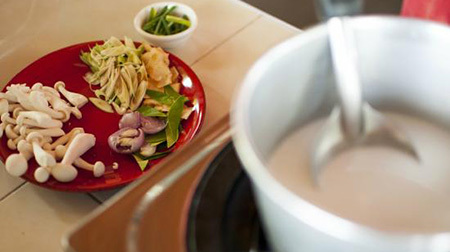 Participants will learn the ropes of whipping up four authentic Thai delicacies. Pai offers five different cooking courses, namely, red, green, yellow, massaman and spring roll course. In each course, you will learn how to make the curry paste from scratch, prepare the curry dish, and cook two Thai side dishes. Want an experience that is fun, wholesome and delicious? Look no further – a culinary class with Island Organics is your best bet. The class starts with an introductory tour with Lat in her organic garden – a lush haven brimming with herbs, vegetables and fruits. Engaging and interesting, Lat manages to keep her classes highly informative, while dishing out instructions that beginners can follow easily. Participants will learn to cook a total of four local dishes in the cooking class, and be taught how to preapre certain items, such coconut cream, coconut milk and curries from scratch.